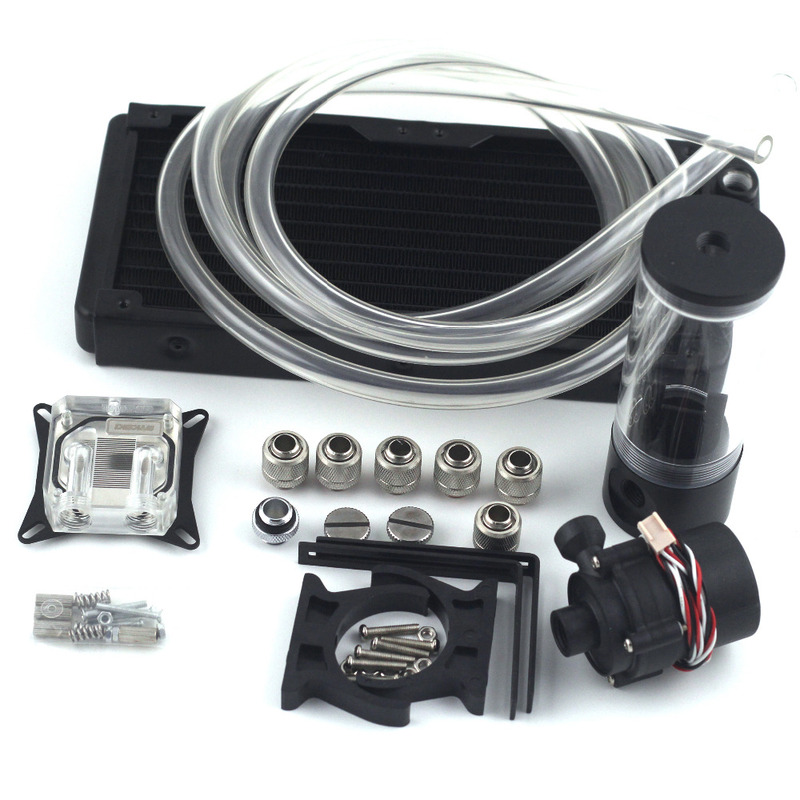 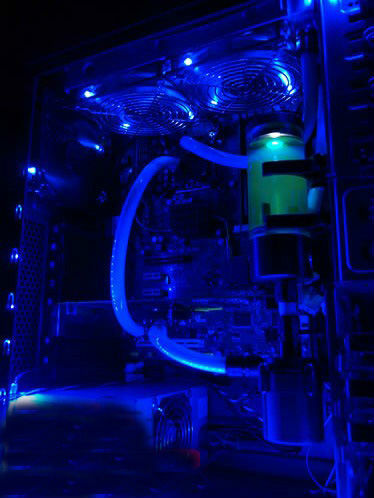 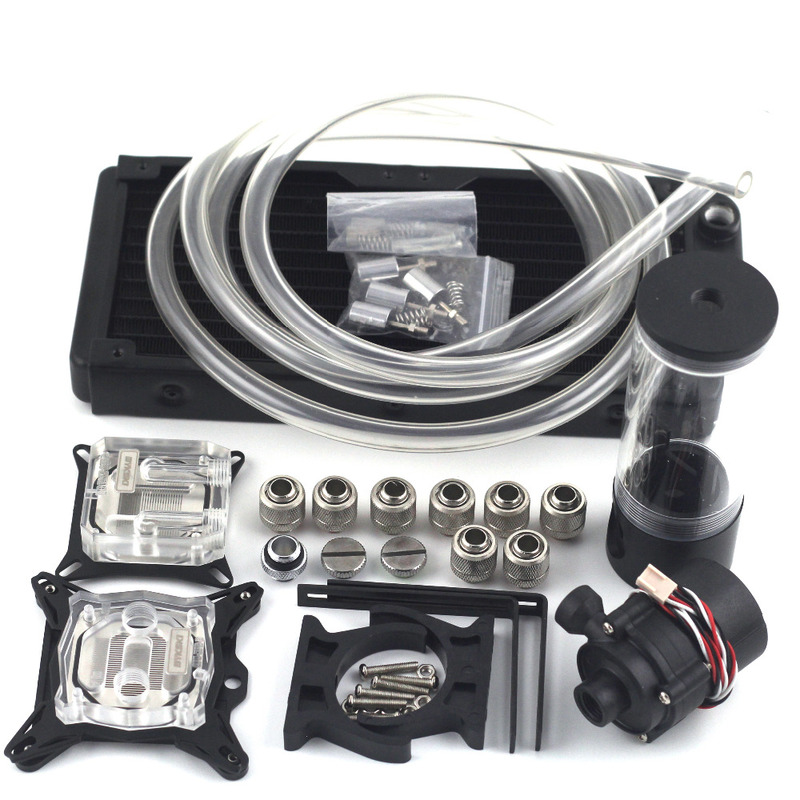 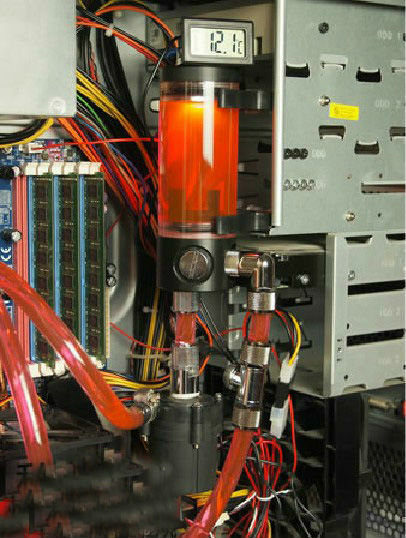 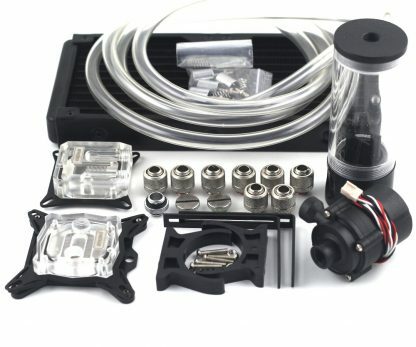 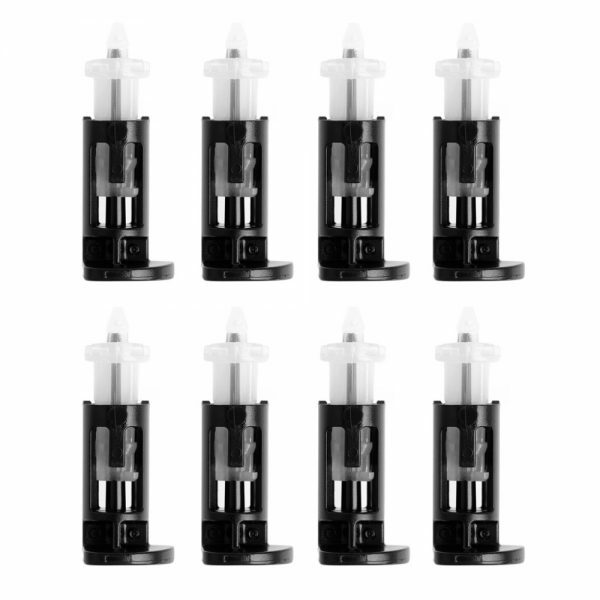 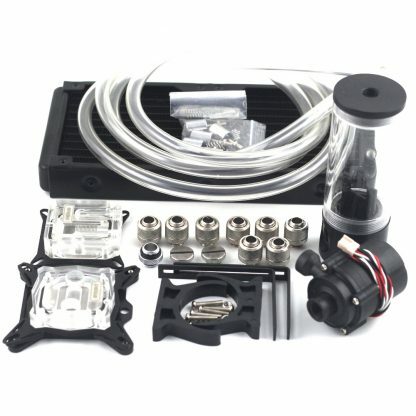 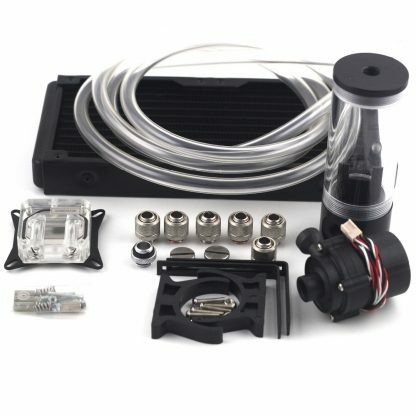 1.240p aluminium water cooling radiator X1. 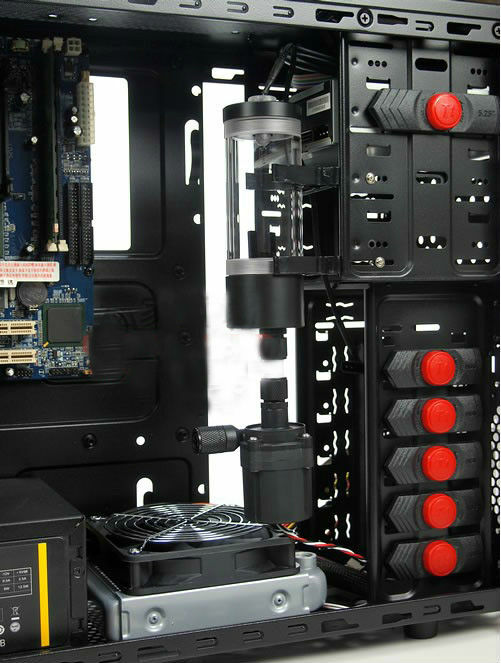 2.BY CPU (intel or AMD)or GPU block as you choose set + fitting screws. 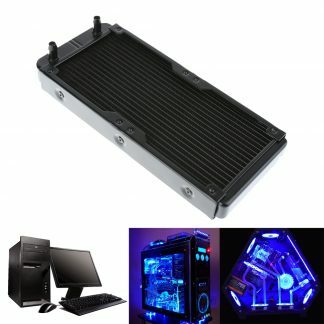 4.CPU Back stand X1(intel only). 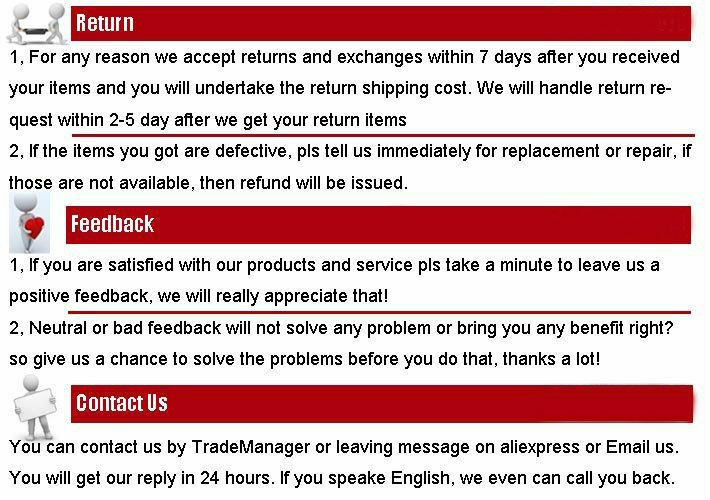 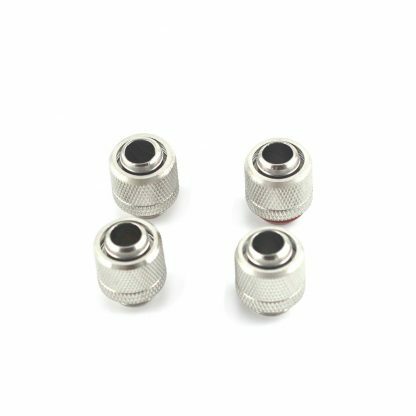 6.Metal L-bracket x 2 + .Plastic Tank Bracket X2. 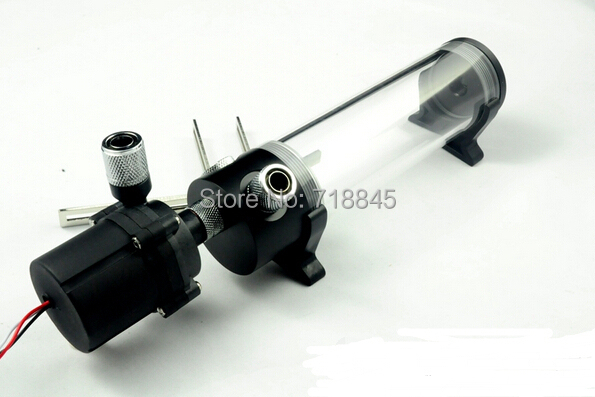 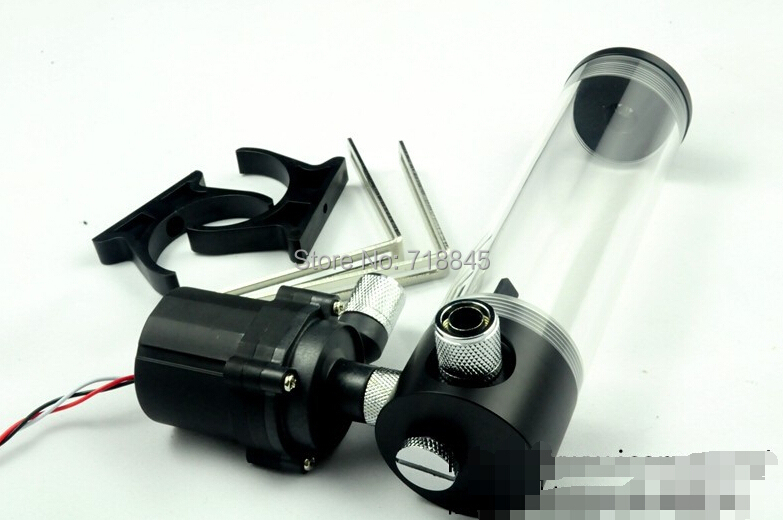 8.Transparent 9.5×12.7mm PVC tube 2M. 9.Hand compression fitting nuts (CPU/GPU setX6,CPU+GPUX8). 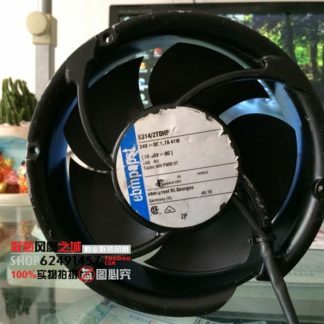 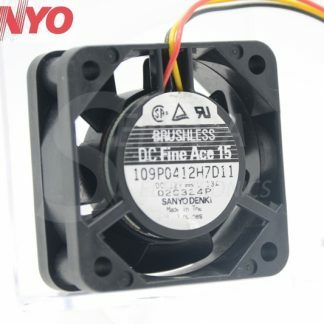 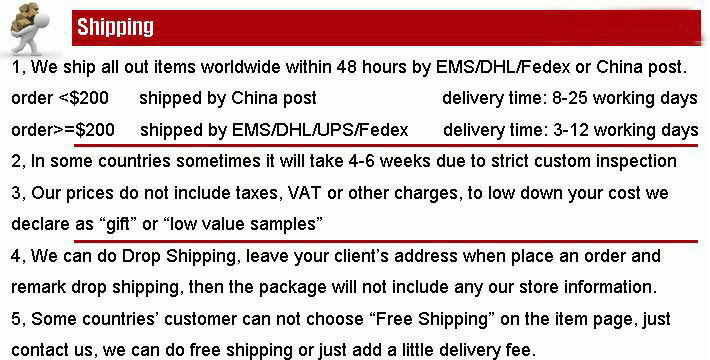 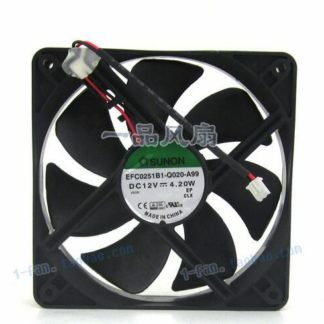 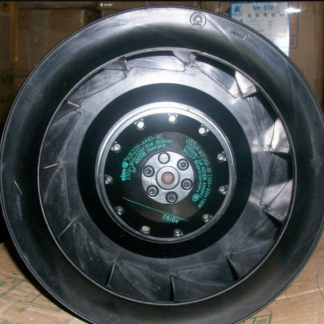 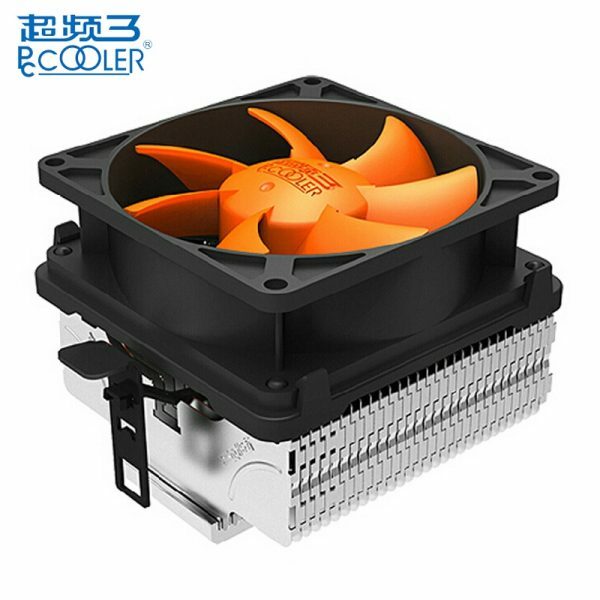 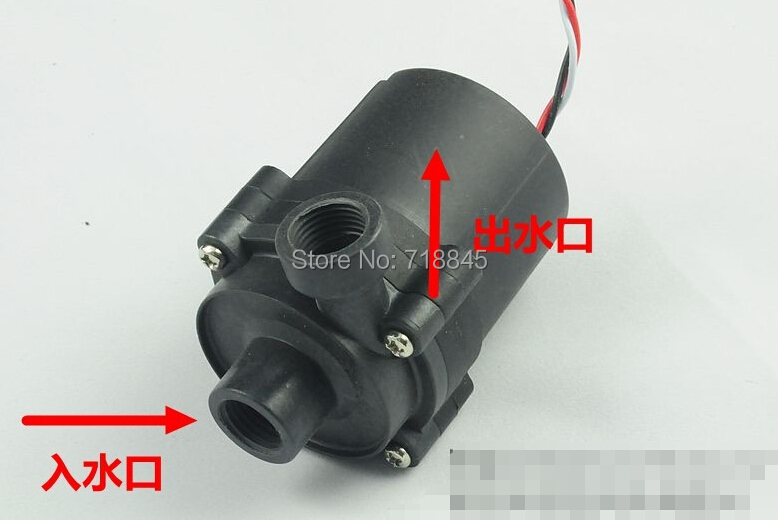 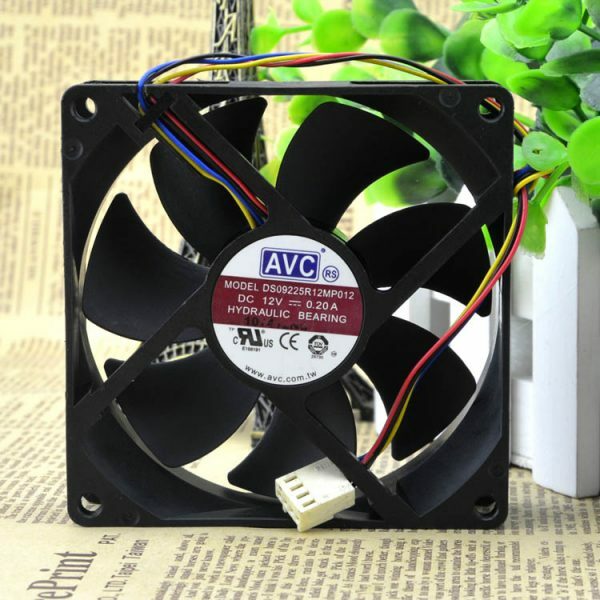 255mm*122mm*30mm,this unit can set 2pcs 12cm fans on it,and we ship it with the accessories screws.